Tagged under Kinema Citrus, Orange (Studio), Light Novel, Series. One of my Favorites, It has a great Story and great Characters. It got some good Drama and is funny as well sadly its kinda short but it doesn't effect the Quality of the Anime at all so i can recommend it for everyone who is into Action/Drama/Comedy. Anime gets also a 7.50. Anime didn't do itself any favors right out the gate, because two crucial character developing scenes in the first episode were cut out. But it did get better after the Kagetane arc. But I will say that the end of episode 13 with Kisara was interesting. I definitely would've liked it if the anime was about Kisara getting her revenge instead. Very great action anime, the anime is not boring, it's events are awesome, make you want to see the next ep soon, I like "Enju" very much, I didn't like when they kill Shouma and Midori, they were great characters, any way, the ending was good, but there were a lot of missing things so I hope they make the next season soon. Well about this anime i cannot confirm that i liked it because the anime must have another season, but till now i loved it, i didn't read the manga so i guess i'll should wait for another season to see the rest of the story, the anime was amazing very exciting, and the characters in the anime is awesome, especially the main hero Rintaro his character is very beautiful, and i like Enju very much, she is much like a little rabbit, and Tina, is very calm and pretty, but i didn't like the idea about killing some characters like Midori and Shouma, they are not weak so they can die easily, i hope they are not making this to the heroes like killing Enju and Rintaro in the end of the story, i hope they can make a second season soon because i hate waiting. 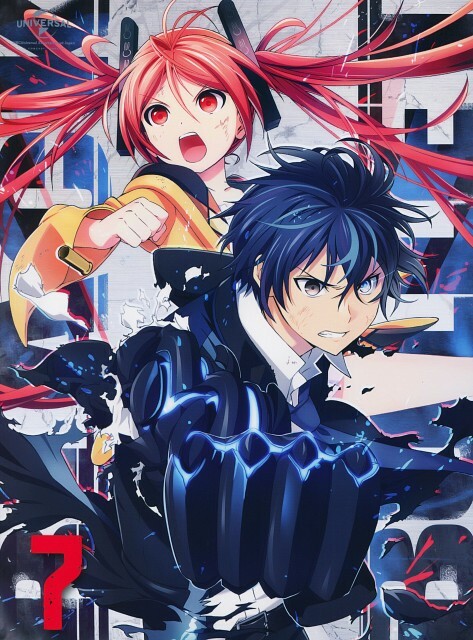 No feedback on Black Bullet.